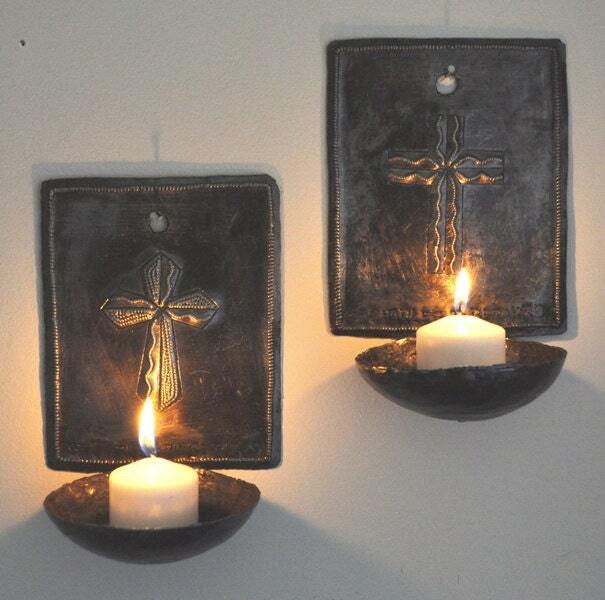 Wall Sconces Candle Holders Cross Design , Haiti (candles not included) 4" x 6" x 3"
Each lovely candle holder is entirely handcrafted by the artist, who first chalks his design onto the metal and then cuts it out with a hammer and chisel. 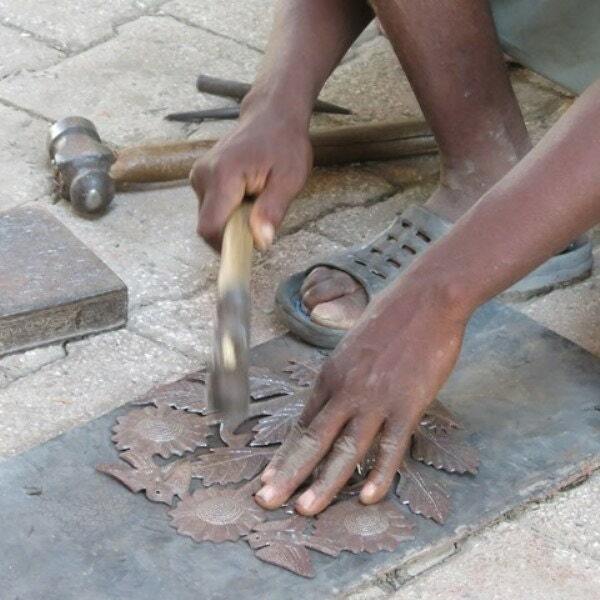 By pounding out the bead-work and fine detail, the leaf pattern emerges. He then bends the leaves around the base and rivets the edges together to give the bowl its shape. 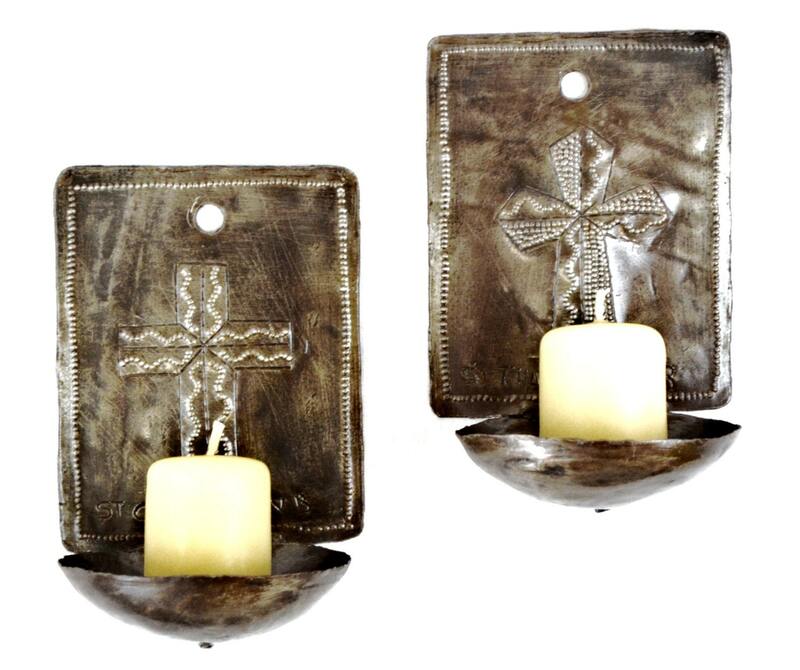 A wonderful innovation in the folk art tradition of Haitian metal sculpture.